Home Finance Payments and Collections Do You Make Receivables Harder to Collect? I frequently see situations where our clients make it harder to collect their receivables. Here are six of the more common issues. Verbal orders are ripe for disagreement. Written orders without quantity, price, delivery date, payment terms and authorized signature can result in misunderstandings and disputes. Make sure you have a verified company name so you know your customer’s legal entity. Otherwise you will not have legal leverage to collect if something goes wrong. The longer you wait to invoice, the longer it takes to get paid. If you become known for having inaccurate invoices with pricing, quantity, tax, freight or other mistakes, each invoice ends up in your customer’s investigation pile. Invoicing accurately with proper documentation the first possible day sets a tone for getting paid on time. Nothing is more frustrating than when you do a great job providing a product or service and then your customer complains and withholds payment. It’s easy to procrastinate when you are faced with conflict and having to do extra work to investigate and communicate on their complaint. But you won’t get paid until the issue is resolved. The longer you delay, the more entrenched their position becomes and the harder it is to work through the issues. Your chances of getting paid in full decline as time passes. 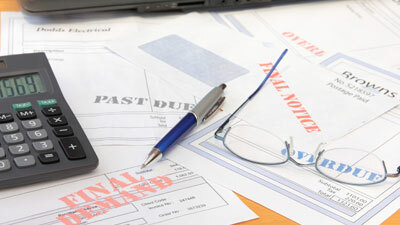 Any company with cash flow issues quickly learns which vendors don’t require on-time payment. Companies that don’t have a procedure for dealing with past due invoices, or don’t consistently follow the procedure, will find that their invoices are the last to be paid when customers are struggling financially. Who needs a customer who isn’t going to pay? If you are afraid to lose the customer, they are destined to control when or if you get paid. Banks typically do not lend more money to customers who are already delinquent. Neither should you. When there is a problem, don’t hesitate to start a professional conversation. Your long-term customer closes a location. The owners are getting divorced. You can’t get a live person when you call. No one responds to messages or emails. These are just a few indicators of possible financial trouble at your customer. Whenever you see a red flag, you should take action. Industry statistics show that once an invoice is past due, the chances of collecting decline more than 1% per week. Don’t delay in getting outside help if you aren’t making progress with red flags waving. Many companies have some of these problems, so if your company does too, you’re not alone. We observe these problems at our collection agency all the time. When our clients turn claims over to us soon after they become delinquent and provide us with clear documentation, we can solve many of the problems. However, the chances of a successful collection effort decrease significantly if our clients are slow to take action or are unable to provide us with adequate paperwork. These mistakes are easily avoided without much effort and the reward of collecting on unpaid receivables speaks for itself. Author: Dean Kaplan is President of The Kaplan Group, a commercial collection agency and consulting firm. During his 30-year career as a CFO, consultant, entrepreneur, and negotiator, he has closed over $500 million in M&A transactions while traveling to over 40 countries. He has an MBA from the University of Chicago.